KAPOW! BONK! POW! 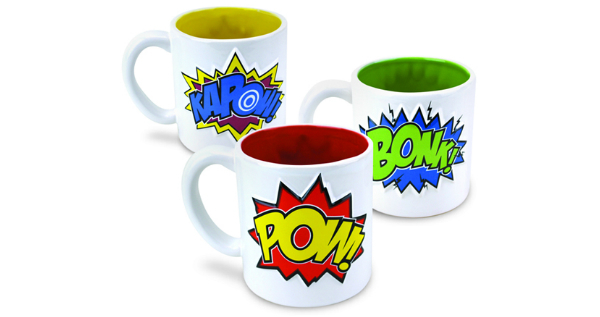 Drink your coffee from a Comic book mug enhancing the coffee drinking experience and the exclamations are raised off of the mugs for extra emphasis!